When you’re worried about money. . .your health. . .terrorism. . .or the breakdown of society. . .where is God? This book shows He’s always with you. 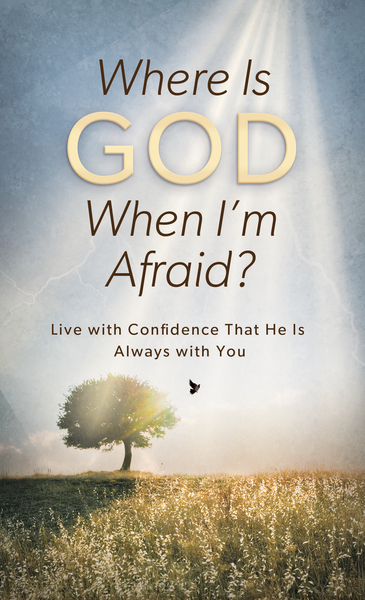 Where Is God When I’m Afraid? explains the causes and cure for fear, directly from God’s Word, the Bible. Fear is a natural human response to uncertainty and danger, but for those who know Jesus Christ, the apostle Paul said, “God has not given us a spirit of fear and timidity, but of power, love, and self-discipline” (2 Timothy 1:7 nlt). When we realize that “God has said, ‘Never will I leave you, never will I forsake you’” (Hebrews 13:5 niv), we can live life with confidence.